Hi people, it's been a while since a posted anything new. I've been busy with my online shops. Yup that's right, plural. There are many marketplace apps available in Indonesia and they are all free to use. Right now I have three accounts that I use, Tokopedia, Shopee, Bukalapak. Why so many do you ask? Because they all have different promotions at different times. Sometimes they give discounts, sometimes free shipping, sometimes cashback. So the customer can pick and choose which app gives them the biggest benefit. A lot of Indonesians have at least one account on many marketplace applications. Some even have a lot of accounts in one app. This is actually not allowed but people do that anyway. Well, I still do a little bit of crocheting but just once in a while. Haven't finished any projects recently. I also have been gardening a lot and exploring a new hobby with chains. I've also been learning chainmaille. Have not been following my own advice of choosing one thing and be really good at it. Being a Jill of some trades is making me an expert of none. Anyway, if you want to see what I have been making, you can see my instagram 'variouschains'. That's it for now. Write me some questions! Hari ini mau sharing tentang pot susun yg baru dibeli. 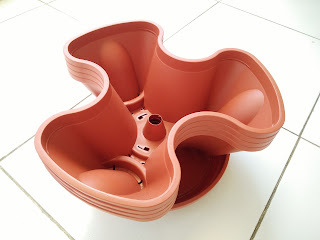 Ada lubang di tengah nya yg mana buat rantai panjang supaya bisa digantung, tapi berhubung gak mau digantung jd rantainya dilepas. 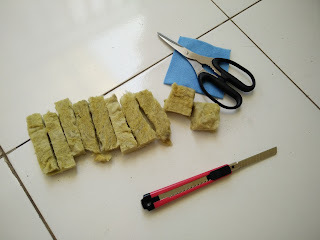 Saya biasanya pakai cocopeat sama sekam bakar jd supaya media tanam nya enggak lari lewat lubang, jd ditambal pakai kain flanel sama rockwool. Kemudian diisi dengan media tanam dan tanaman, yg untuk saat ini adalah bawang. 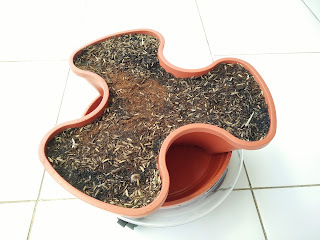 This time I just want to share with you my DIY Recycled seedling container. 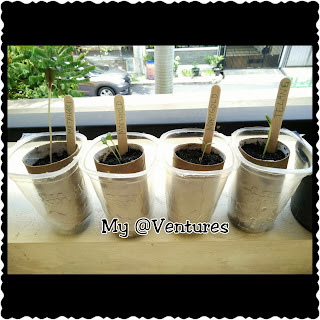 I used a toilet paper roll core, a plastic cup and a wooden ice cream stick as a plant label. 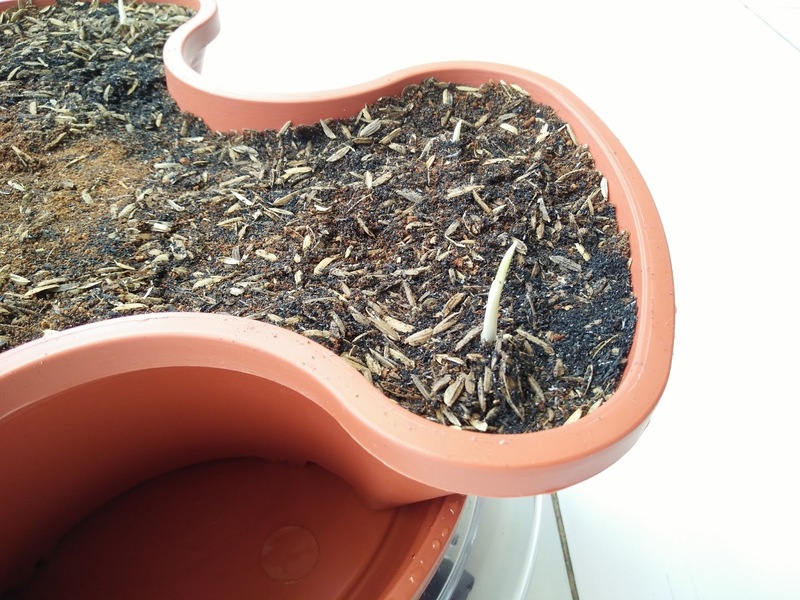 Using a toilet paper core is great for those plants with weak and slim roots, so you simply plant it together with the container into the ground, no need to take the seedling out. It's pretty straightforward so I'm just going to share a picture. 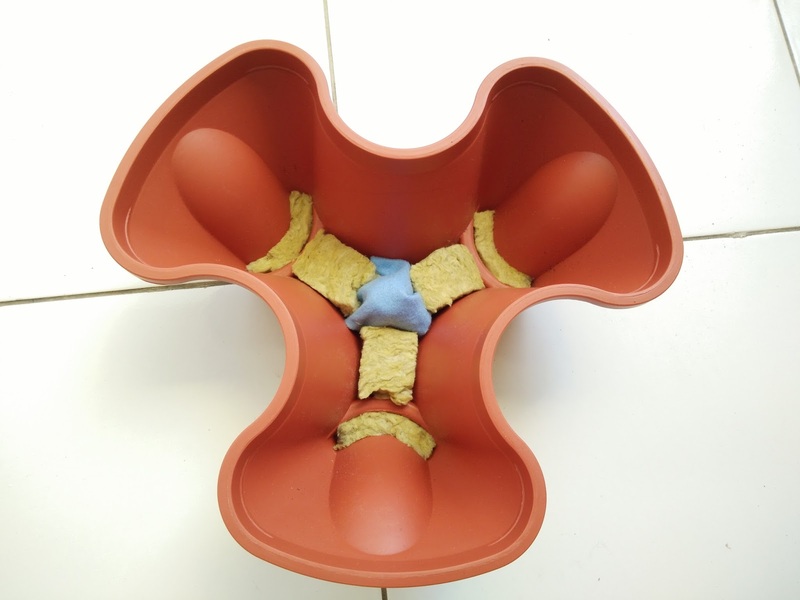 Kali ini saya akan membagikan ide saya untuk membuat sendiri tempat untuk menanam biji dari barang bekas yaitu karton tissue roll, gelas cup plastik dan stik es krim kayu. 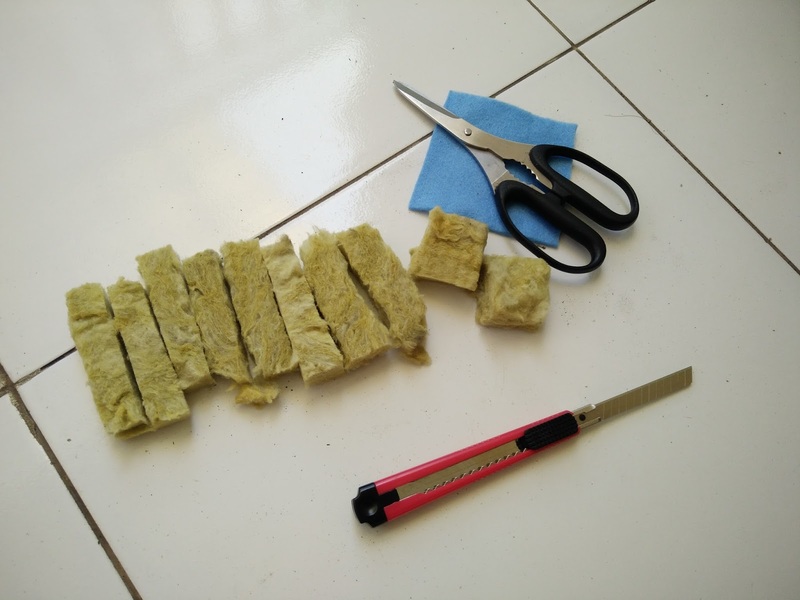 Menggunakan karton roll tissue ini sangat cocok untuk tanaman dengan akar yg tipis dan lemah. Tidak perlu mengeluarkan tanaman untuk dipindahkan, langsung saja tanam dengan tempatnya sekaligus. Bagus juga untuk mengurangi resiko tanaman stress saat pindah tanam. So I have a new hobby now. Gardening. At first I was attracted to hydroponic vegetables, but I found that my house has a bad environment for it, and I had some trouble with pests so it has been put on hold for now. 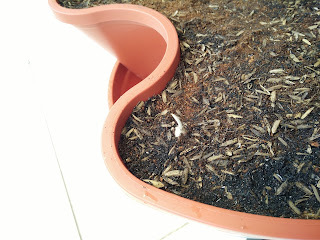 Then I learned about companion planting, and so I have diverted my attention to planting flowers. 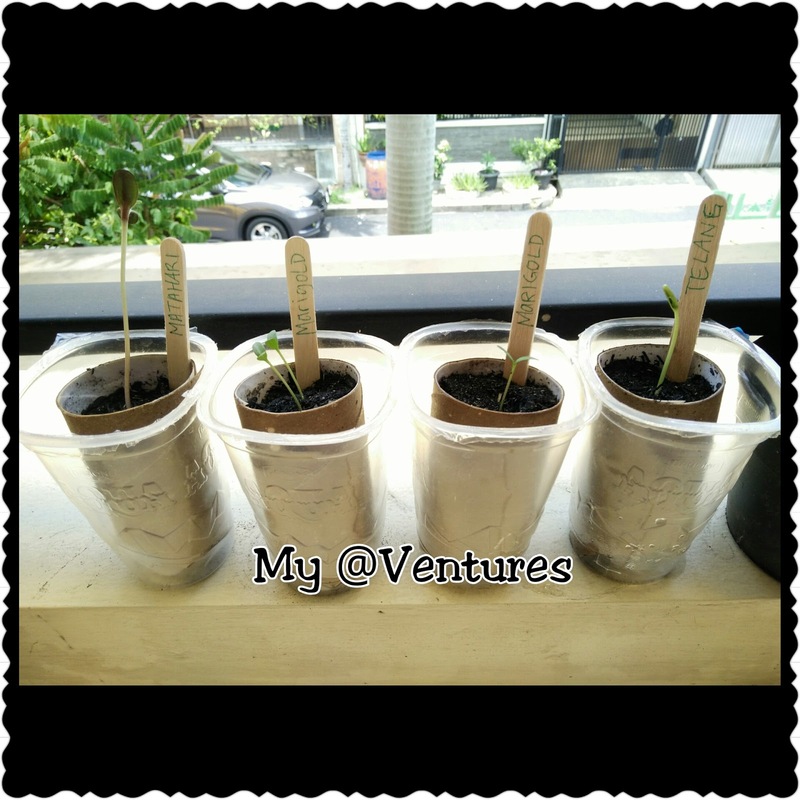 In the meantime I will continue to learn and experiment with hydroponics. Step by step I will share with you what I learned from the past few months. This is my current favourite flowers. 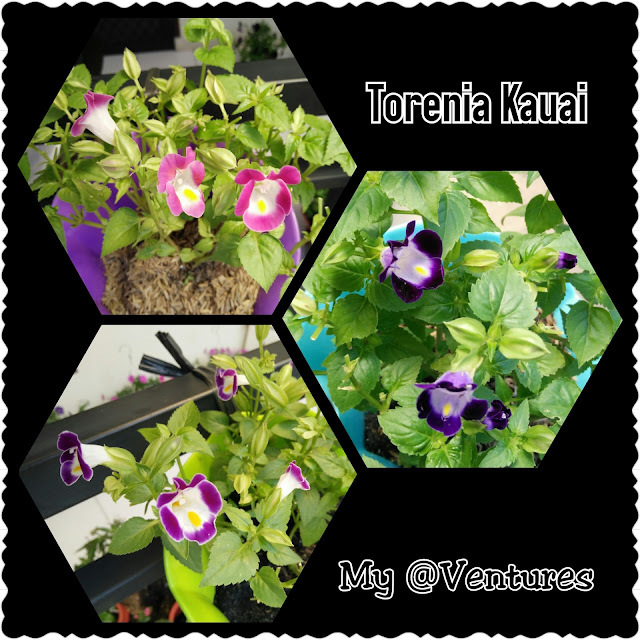 Torenia Kauai. Wow, so it has been 5 years since I last updated this blog. A lot of things has changed. Now I have a nearly 5 years old son and a nearly 3 years old daughter. So I suddenly want to start writing again. Maybe it won't be about knitting or crocheting anymore. We'll see.